Cragnamurragh is the 481st highest place in Ireland. 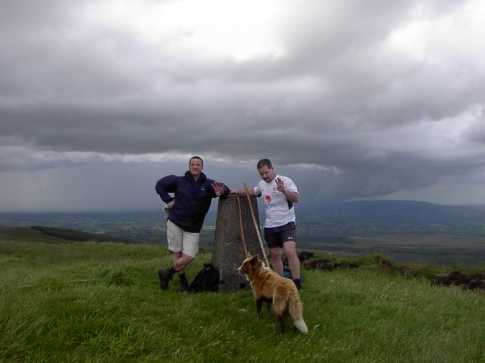 Cragnamurragh is the second highest point in county Clare. This approach first takes you over nearby Glennagalliagh. Considering the amount of comments commenting about the boggy nature of these hills, this route is quite straightforward and mostly along tracks. 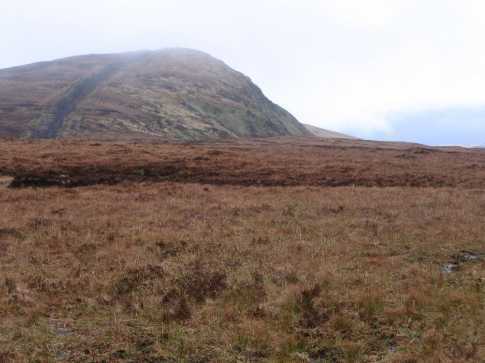 Starting at R6395472575 E on Map 58, follow the access track 1.5kms up to the summit of Glennagalliagh. 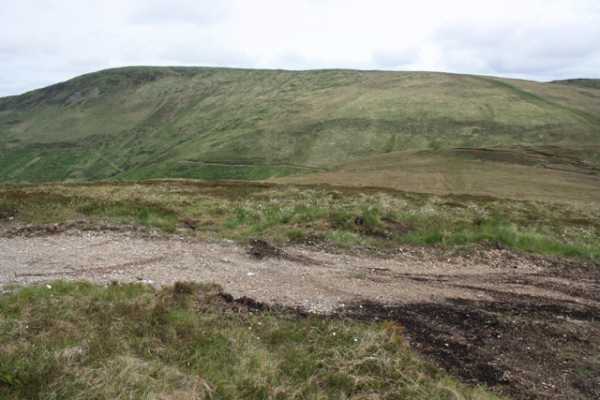 (For information – it’s possible to drive to the summit in jeep type vehicles as turf cutting takes place there). From the summit look north down into the saddle below Glennagalliagh. A white track carved out of the bog should be visible. This track leads for 1km up to the col between Cragnamurragh and Moylussa. 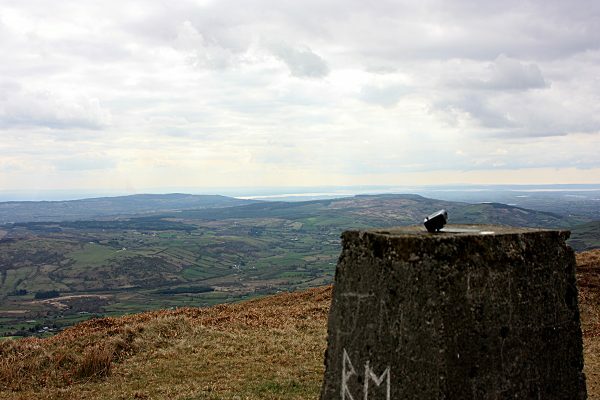 A local walker told me that many people believe that Cragnamurragh is the highest point of Clare because there is a trig pillar on Cragnamurragh while there is none on nearby Moylussa. He said that the highest point in the county would surely have this pillar? I pointed out that it had to do with the Ordnance Survey and lines of sight etc but I didn’t convince him! Approached from Moylussa with poor visibilty and unrelenting rain. Normally I would regard the wide boggy track running SE as a scar on the landscape, but today it was a useful guide, bringing us practically to the summit trig pillar. I won't bore you with the details of our descent down the southern spur, involving as it did, awkward hummocky slopes, impenetrable foliage and an unnecessary 8 km roadwalk. From Kilbane village take the gap road towards Killaloe . 200 m far from the junction with the signposts you will see a house and a tractor road on the left hand side . Only one car can be parked on the side of the main road. Take the tractor road which in the spring time might be flooded by the small stream which cross it. Some stepping stone will help to cross this section and still remain dry. On the tractor path are encounter three gates . 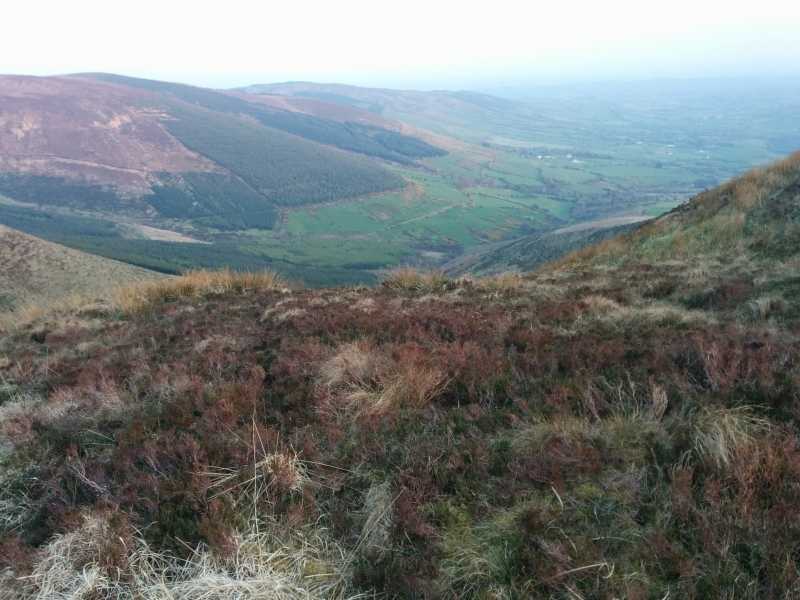 The last one will lead you into an open field with clear view of the hills nesting the area: Glenvagalliagh to the right and Cragnamurragh straight ahead .